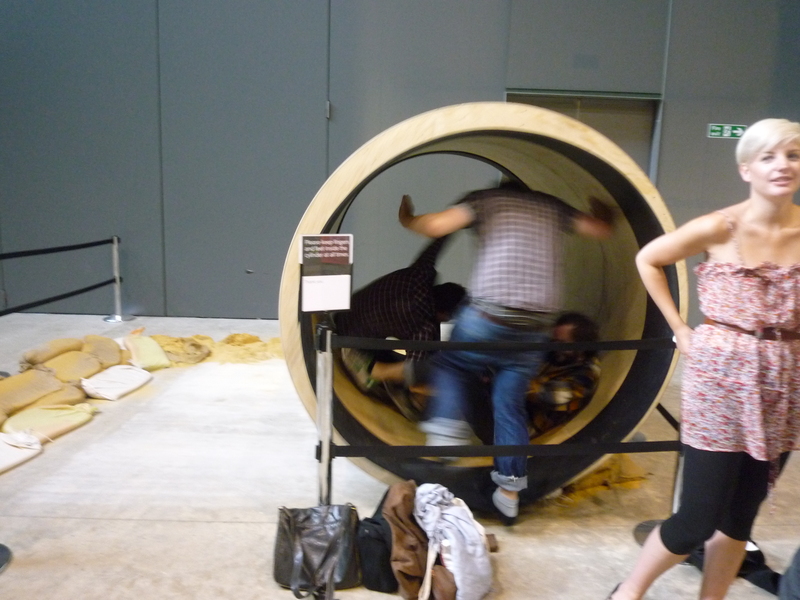 I had great fun at Tate Modern a couple of days ago, courtesy of Robert Morris and Bodyspacemotionthings. The interactive installation, which is essentially a playground made out of plywood, rubber and ropes, first opened in 1971, only to be closed four days later because the crowd went a bit bonkers. This time round, Tate has made some health and safety adjustments, so I didn’t see anyone bounce off the walls or get a splinter in the bum. It was 5pm. The Turbine Hall was filled with a few children, and a lot of adults. I watched a man in an expensive suit proudly make his way along the balancing beam. French tourists queued up to climb the walls. Everyone was giggling at themselves and each other. Even the gallery assistants seemed more relaxed than normal. 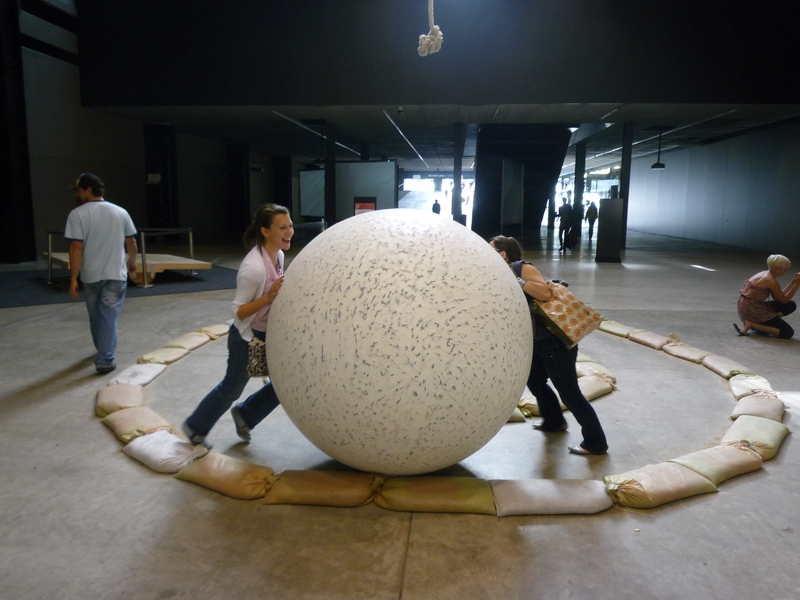 It is possibly the least thought-provoking work to be installed in the Turbine Hall so far, but who’s to say that’s a bad thing? 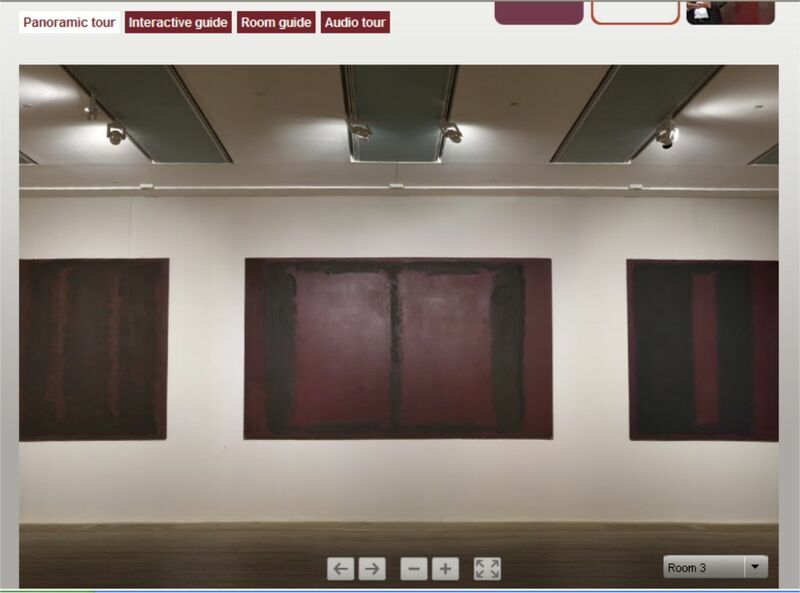 Just found out that if you (like me) missed the Rothko exhibition at Tate Modern, you can take a virtual panoramic tour online, HERE. It works relatively well for Rothko’s paintings, because they don’t require up-close study. On the other hand, you don’t get a sense of the atmosphere of his work. It’s a bit like glancing at a line of Rothko postcards in the Tate shop. Fans of Tony Hart gathered outside Tate Modern yesterday to pay tribute to the DIY art enthusiast, who died earlier this year. Over 200 people turned up to build a plasticine army of Morphs, some of which rode skateboards or read newspapers. One wore a black armband as a mark of respect. This is exactly what he was all about. Getting people together to join in and make a picture, to make something. It’s so great. Hart inspired so many children – and parents – to get their hands dirty and start making art. I used to make my own Morphs out of smelly, dry, months-old plasticine, and I think this tribute is a great way to put the new flash mob trend to use. Click HERE to see a video of the Morph flash mob on the BBC’s website. London-based artists and galleries are having a lot of fun at the moment. Last week, I spent an evening playing games at the ICA, and so far this week I have seen smiley faced clouds on the South Bank and giant illuminations on the front of the National Gallery. I just wanted to make a piece of work that would cheer people up a bit. I’m also keen to help people remember that the success of British cultural industries [like the Tate] is relatively new. I believe these cultural industries have been hugely important in the rejuvenation of parts of the city. And, in Trafalgar Square last night, the entire length of the National Gallery lit up with illuminations of Pablo Picasso’s works, to mark the opening of the Picasso: Challenging the Past exhibition. Visitors will be able to see the light display every evening from 6pm to 10pm until this Sunday, 1 March.